Join today and watch your business SOAR! You’ve got an issue and you need help. You can post it to forums and expect to get a WIDE variety of answers, some good and some not so good. But who knows what advice is really any good? You can start researching, reading, and even taking classes. But do you really have that much time? You can hire a coach, like me, and invest thousands of dollars on a coaching package. But that may be overkill for what you need right now. So, likely you find yourself floundering, going it alone, and trying out a bunch of stuff that costs you time, money, and frustration. But it also probably doesn’t really solve the problem. This is exactly why I created the Fly Higher Tribe! With Tribe you get to stop struggling and get expert and proven solutions you can apply now. Get hot seat coaching on your issues directly from CDI’s 6-figure-plus business success coach and audacious entrepreneur architect, Laura DeCarlo. Network with the industry’s leaders and fellow Tribe members in a private forum. Plus, you get access to existing call recordings (listen online + MP3 download) for all the best of strategies, solutions, and success covering just about every business-boosting topic or problem you can imagine. And Just Who Am I to Offer You This Tribe? Hi, I’m Laura DeCarlo, President of Career Directors International, multi-certified business success coach, award-winning resume writer, author, Certified Customer Acquisition Specialist, Certified Content Marketing Specialist, Money Breakthrough Method® Coach, Infinite Possibilities Certified Trainer, elite member of Forbes Coaches Council, and a Certified Money, Marketing and Soul Coach®. 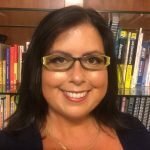 And because I walk what I talk on the importance of lifelong learning, I’m currently working my way through seven more intensive certifications to stay up-to-date in all I know and coach on in copywriting, conversion funnels, email marketing, community marketing, SEO, social media marketing, video marketing, and more. So, Tribe IS what you need to take big steps forward! Sound expensive or too good to be true? You’ll get solutions to your problems: Once a month you will be invited to join a group call where you get to ask anything of Laura. This is where hot seat coaching comes in. It could take the form of actually coaching you to have a breakthrough or it could be sharing specific strategy for taking powerful next steps. Laura may also direct you to additional resources in the member’s section. You’ll 10x your knowledge: Through the monthly call you’ll hear all kinds of topics and their solutions/strategies thanks to the group environment. This is coaching typically reserved for Laura’s private 1-1 client sessions. You’ll learn on your time: Can’t make the call? You’ll have access to a private member page where you can get the recordings and MP3 downloads as well as links to any CDI resources Laura recommended in the call. You’ll network: You’ll also be connected through a private Facebook group where you can collaborate with fellow Tribe members. You’ll also have the opportunity to take part in member networking calls a few times a year. Imagine the networking! You’ll save: Should you decide you want 1-1 coaching and consulting, as a Tribe member you’ll have access to the Career Business Profit Rocket program and Your Career Website Roadmap (as space is available) at 25% off. You’ll show your prospects you fly higher: By displaying the member badge on print or digital media, you can demonstrate your commitment to continuous learning. We kicked off 2019 with an open call to all CDI members which was patterned after the Tribe experience. While the call doesn’t have the power of the established Tribe community contributing to the conversation, it will give you a sense of the deep ‘ah-ha’ moments members experience simply be being present. Imagine being there live to ask your own questions while also having the community network for added support and all the prior recorded sessions. Note that the above is a link to a member’s only resource and requires login. You pay a small monthly rate to get big results. The Fly Higher Tribe is regularly just $49.00 a month. However, you can join for a limited time at just $37.00 a month. There are no contracts and you can cancel at any time. What have you got to lose? There’s not much out there at this value you can get for this low monthly price. You can’t even do dinner and a movie, unless it’s fast food…. Enjoy your life and not just be run by your business…. Then the Fly Higher Tribe is for you! Sign up now and it could change your life. Being part of this tribe could make your business soar! Regularly $49, sign up now for $37. Cancel at any time. CDI membership is a prerequisite of registration. *If you are not currently a CDI member, you will need to also add annual or monthly membership at checkout. You can learn about membership and join here. 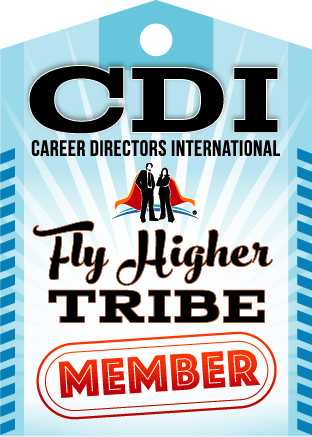 For questions about the Fly Higher Tribe, contact CDI at info@nullcareerdirectors.com. Regardless of what price point you come in at, this rate does not replace your CDI membership rate. This is in addition to your annual or monthly membership payments. Monthly membership is billed automatically to your credit card on a 30 day cycle. This membership is not available via any other payment method. You can cancel at any time. There are no contracts or commitments. You need to give five (5) days notice by email to info@nullcareerdirectors.com before a monthly payment processing date to cancel without being charged. There are no refunds on payments already made. The rate is guaranteed for one year. At that time if the rate is increasing, you will have a chance to cancel or continue without penalty. Current calls are being held on Wednesday at 12 PM Eastern. This is subject to change with advanced notice. The regular monthly rate is $49.00. Ready to Fly Higher? Get started today. Remember, the regular rate is $49 and this special won’t last! (See more in right page colum). I would be absolutely lost without your coaching! Everyone is unique in where they get “stuck” in growing their practice. For me, I struggled with being true and authentic in owning my unique brand in the market. I also struggled with structuring my programs and creating full-service solutions with pricing that made sense for the level of involvement and expertise I was providing, as well as shaping boundaries around my services so that I could regain a sense of balance in my personal life. In the two weeks since working with Laura (and Pat) I have closed 60% of my consults with two more still pending – my best win ratio ever. Plus, I increased each of my quotes and captured bigger packages and larger sales with each, to the tune of nearly $9K. That also represents an all-time high, which includes my single biggest sale to date. Working with Laura is like having a 9-course feast when you only expected a snack! Seriously, in just one 90-minute session, she gave me more practical ideas and tips than I could wrap my brain around, but I’m already putting one or two of them into practice and have a string of them lined up to execute next. Working with Laura as a business consultant helped me get very clear on my own resume writing standards to be able to convey specific expectations to my team. As a result, my process to exceed my client’s high expectations has now been streamlined, contributing more to my bottom line and those of my partners/affiliates, while continually making my clients happier. What amazed me was how much could be covered and addressed in three calls. Laura’s generosity with her knowledge, time and commitment to me truly blew me away. I came to her with specific initiatives to streamline the process of my business and…voila!…that’s what I got and more. Laura’s work through and commitment to Career Directors International is a truly powerful resource for high-level career industry professionals. In fact, Laura produces so many resources and training opportunities that is hard to take advantage of everything offered. <b<I’ve now had clients invest as much as $800 in career services, and that’s in a small city with a 4% unemployment rate and where my previous competitors charged $75 (for a resume and cover letter).